Olly Riches is President Director of Michael Page in Indonesia. Having joined Michael Page 15 years ago, he relocated from the London business to Shanghai in 2007 to launch and develop the Supply Chain, Manufacturing, Sales, Marketing, Retail, HR and Technology disciplines across Mainland China. Following the successful launch of these disciplines, Olly moved to the Beijing office in 2011 and went on to establish it as one of Michael Page's fastest growing offices globally in 2012 growing from 12 fee earners to 55 whilst establishing a predominantly local management team. 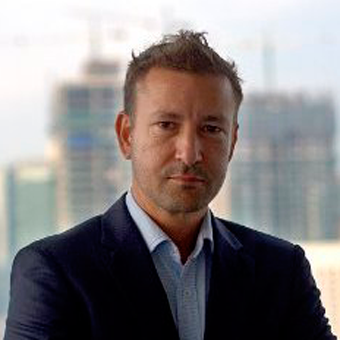 In April 2013, following his success and knowledge operating in emerging markets Olly was asked to move onto the South East Asia Board with the remit of launching Michael Page in Indonesia. Initially focused on Finance, Financial Services, HR, Legal, Sales & Marketing, Digital and Supply Chain & Operations the Jakarta office opened in 2013 and currently has 35 fee earners. The Jakarta office was the Group’s fastest growing business in 2015. Combining his experience in Mainland China and South East Asia working across multiple disciplines and industries, Olly has a proven track record in sourcing senior management professionals for both major blue chip companies as well as SMEs who are looking to build their own businesses in SE Asia. Prior to joining Michael Page, Olly worked for an executive search firm in London focussing on partner level search within the professional services sector. Olly obtained his Bachelor of Arts degree (2:1) from the University of London.